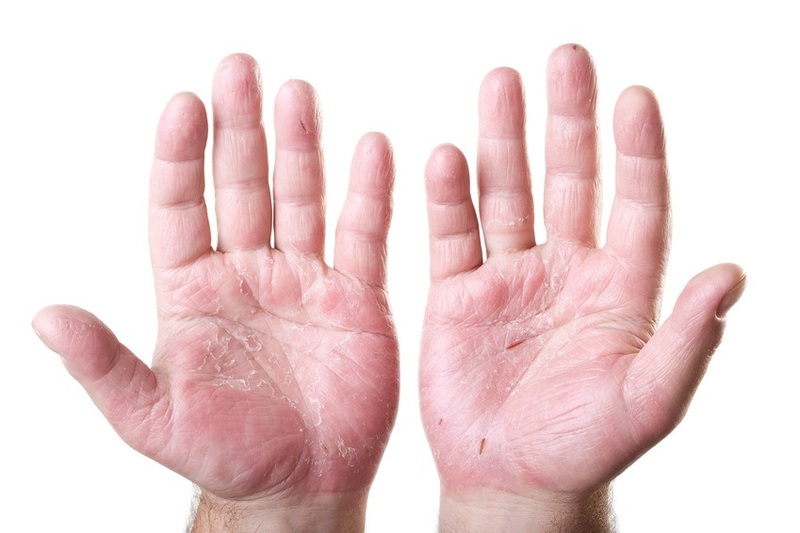 Do you suffer from extremely dry skin that is constantly cracked and painful, especially during the colder months? Skin that simply will not respond to the dozens of creams and potions you've bought from the pharmacy or been prescribed by your doctor? Perhaps you suffer with eczema or psoriasis and have to deal with the constant itching, rashes and patches of inflammation that these conditions cause. If so, I can relate. I've dealt with eczema my entire life. I am prone to ugly eczema on my elbows and joints and have tried everything the Doctor can offer including cortisone based creams. Fortunately, I grew up on a bee farm with a mother who was pretty resourceful. In my quest for relief at an early age, she figured something out that solved my problem for life. What she figured out was this - bees create a substance so effective at healing skin problems that hospitals are now using it to help heal burns and sores caused by chemotherapy. She spent years experimenting, testing and refining her 'potion' with this special ingredient until she got it just right in the form of an all natural cream, free of any parabens, fragrances, or preservatives. So what is this healing, soothing ingredient? The ingredient my mother discovered that healed my skin and the worst possible skin conditions she could possibly find in the customers coming into her tiny Honey Shop is beeswax. Now, you are likely thinking that beeswax is used to make candles (you are right). So how can it heal your dry skin or eczema? 1) Acts as a Protective Barrier: When applied to the skin, beeswax forms a protective barrier that helps protect it from environmental assaults while also holding in moisture and reducing dryness. Beeswax doesn’t 'suffocate' the skin and won’t clog pores like petroleum based products. 2) Antibacterial: Beeswax has antibacterial properties which help keep your skin clear of blemishes and bacteria free. 3) Humectant: Beeswax helps to keep your skin hydrated over time because it attracts water naturally, keeping your skin hydrated and healthy. 4) Contains Vitamin A: As a natural source of this vitamin, beeswax helps support cell turnover and reconstruction. 5) Wound Healing: Because of its anti-inflammatory properties, beeswax has been found to help encourage the healing of wounds. Studies have even found that it is effective against hemorrhoids. It is also being used in hospitals to heal wounds and sores caused by chemotherapy. 6) Hypo-Allergenic: Beeswax has an irritation potential of zero and a comedogenicity rating of 0 - 2, which means that it will not clog the pores. The Beeswax Body Cream is unscented and totally pure, handcrafted in small batches for maximum freshness and purity using ingredients directly from the hives of Dutchman's Gold Apiaries. It continues to be carefully made in small, select batches and remains a family treasure after helping thousands deal with dry skin, eczema, psoriasis and skin rashes. 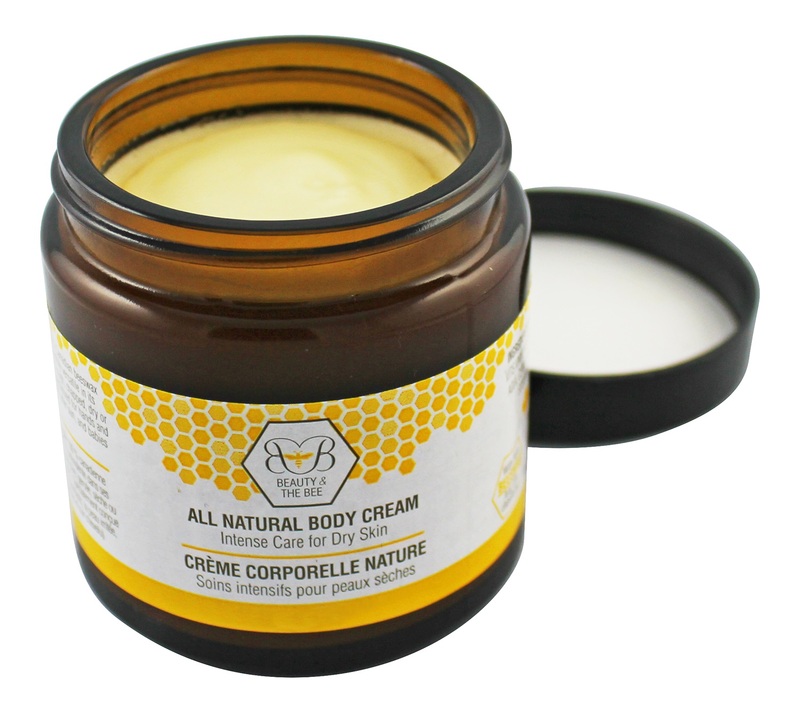 There are absolutely no chemicals, dyes, artificial fragrances or parabens in the Beeswax Body Cream. You may be thinking that you've used dozens of creams and potions over the years and none of them worked. You've spent hundreds of dollars on these products and they're still sitting in your cabinet...unused. So why spend more money on another cream? What Brenda L. had to say about her little girl's dry skin. "I bought your skin cream for my little girl because she has such dry skin. That cream is like a miracle - I have never found a product that works so well on her." "I received the products yesterday and I must say I love your stuff. The Beeswax Body Cream feels excellent as my hands are dryer than my face and I put it on last night and they feel soft this morning. I also use it on my lips." "I’m a potter and that means my hands are in water and clay for hours on end. I've bought countless creams and yours is the only one that truly works. A big plus is that I don’t have to worry about suspicious additives." "I use your beeswax body cream as my face cream. I had dry patches around my eyes and this cleared it right up!" "My husband has been using the Beeswax Body Cream on his psoriasis and it's amazing. He's been trying all different creams, etc. from the Doctor and this by far has been the most effective ever!!!!!" This is what Mary from Ontario had to say about the amazing results she achieved on her grand daughter's painful eczema using the Beeswax Body Cream. "My 4 year old grand daughter had really dry hands and rash all over them and up her arms like eczema - I believe it was from using the hand sanitizer at school. She was always scratching because it was so itchy for the poor little girl. She stayed with us over the Christmas holidays and I used the Beeswax Body Cream on her several times a day and really applied it generously at night. In about 4 or 5 days, her rash was pretty much all gone. I sent the cream home with my daughter who continued to apply it to her. My granddaughter even started asking for it after a couple of days. My favorite part was not only that it worked so well at clearing up the dryness and rash, but that it is all natural." Is 100% natural. No fragrances or parabens. I am so confident that you will absolutely fall in love with the Natural Beeswax Body Cream that I am willing to give you 60 days to try it out. If after 60 days you do not love it as your new moisturizer and healer, I will give you your money back no questions asked. Now, you might be wondering how I'll do that after 60 days and you've used the cream up. It's simple - send me the empty bottle and I'll still give you your money back. I want you to try this cream that bad because I know it will help you heal and moisturize your skin naturally. 1. Can I use the GLA Skin Oil with the Beeswax Body Cream? Absolutely. In fact, I recommend that you use the GLA Skin Oil with the Beeswax Body Cream, especially if you are dealing with eczema, psoriasis or dermatitis. The GLA Skin Oil will enhance your results. For really stubborn inflammatory skin conditions take 3 tsp of GLA skin oil daily. The combination of the Beeswax Body Cream topically and GLA internally are dynamite for tackling your skin condition from the inside out. 2. 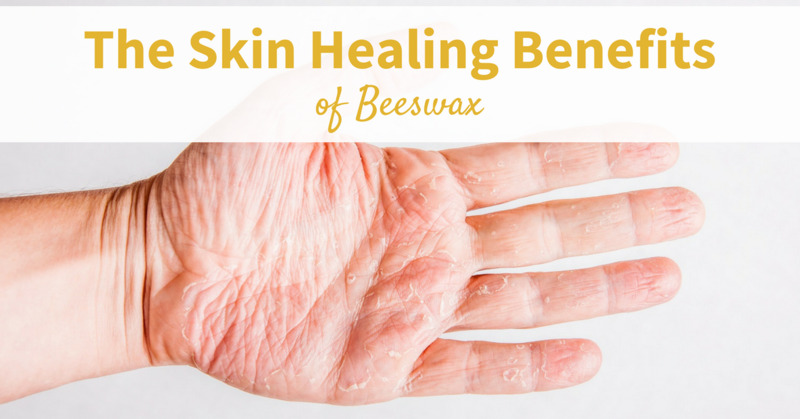 How quickly will I see results using the Beeswax Body Cream? A - This depends on several factors, the most important being you. Things like age, current skin health, nutrition/hydration and genetics all contribute to determining this. Generally speaking, most users start to see results in under 7 days. 3. Is the Beeswax Body Cream suitable for all skin types? 4. Can I use the beeswax skin cream around my eyes. A - Yes, absolutely you can. It is non-irritating. 5. What is Borax and why is it in the Beeswax Body Cream? A - The reason Borax is in the Beeswax Body Cream is as an emulsifier. What that means is it helps the beeswax and the water blend together nicely into a cream. The amount of borax in the cream is extremely small - only 0.3% of the product. We have sold over the years since Angela's mother created it tens of thousands of bottles and have not had one issue of skin irritation or complaints about the borax causing issue. It has been used on the most sensitive skin and hundreds of babies without issue.